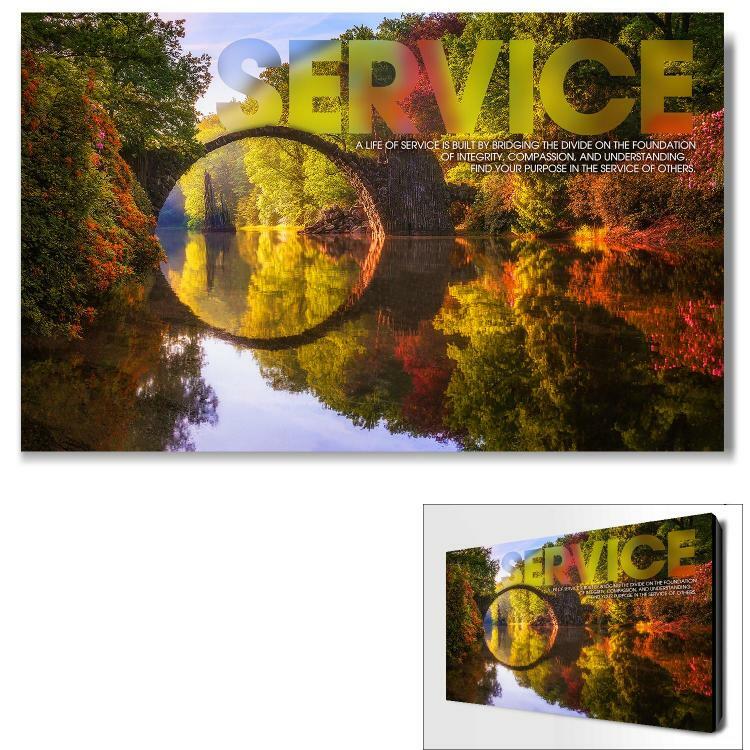 Successories, the originators of the motivational poster, brings you an entire collection of service art. Service quotes paired with inspirational imagery is a great way to display this value in your organization or office. Each piece engages onlookers to mediate on the idea of service. We just moved into a new office and this picture and motivation is a perfect fit for our Sales/Client Service Team.